The story of MontBell is the story of its founder and CEO, Isamu Tatsuno. Born in 1947 in Osaka, Japan, Tatsuno spent much of his youth dedicated to becoming a mountaineer. Deeply impressed by "Heinrich Harrer's White Spider: The Classic Account of the Ascent of the Eiger", Tatsuno had two dreams; to be the first Japanese person to climb the North Face of the Eiger and to start a company somehow involved with the mountaineering industry. 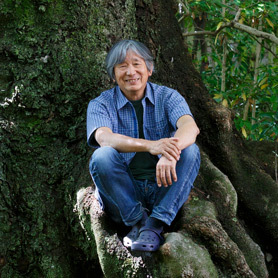 By the early 1970s, Tatsuno had achieved his first dream by becoming a renowned climber. In 1969 at the age of 21, he became the second Japanese to climb the North Face of the Eiger in the Swiss Alps. He also climbed the North Face of the Matterhorn. In 1970, he opened the first rock climbing school in Japan. In 1975, when he was 28 years old, Tatsuno achieved his second dream when he founded his own company, MontBell Co., Ltd., to manufacture mountaineering clothing and equipment. He also became enthusiastic about canoeing and kayaking and won the third annual competition of the Kansai Wildwater kayaking competition. In the nearly three decades since, Tatsuno has kayaked numerous rivers including the Trishuli river, the Marsyangdi river, and the Seti river in the Himalayas of Nepal; Kurobe Canyon from the Japan Alps to the Sea of Japan; the Colorado River through Arizona's Grand Canyon; and the river through the jungles of Costa Rica in Central America. But Tatsuno's many accomplishments are not limited to just adventuring and running a business. He is also deeply involved in social causes. In 1991, he founded Paramount Challenge Canoe (a Japanese association promoting canoeing for the disabled) and is very active in education as well. He is a professor at the Biwako Seikei Sports University, a member of the Sport Committee of the Japanese Ministry of Education, Culture, Sports, Science and Technology and serving on the committee for the Outdoor Education Foundation for Youth. Recently, his focus has turned to working with local governments to promote eco tourism to areas often overlooked as travel destinations. This work has even extended to preparing these areas to accept travelers from abroad to experience and enjoy Japan's rich natural landscapes and rural areas. In his free time, Tatsuno can often be found practicing the art of traditional Japanese tea ceremony or playing the Japanese flute. Kayak (Yama to Keikoku sya). Translated by William Nealy. Chief editor of mountaineering magazine "Gakujin"
Circumnavigated Kunashiri Island by sea kayak.